The common misconception about getting an ombre hair color is that in order to create that natural, ‘grown out’ look, all you need to do is dye your roots a couple shades darker. 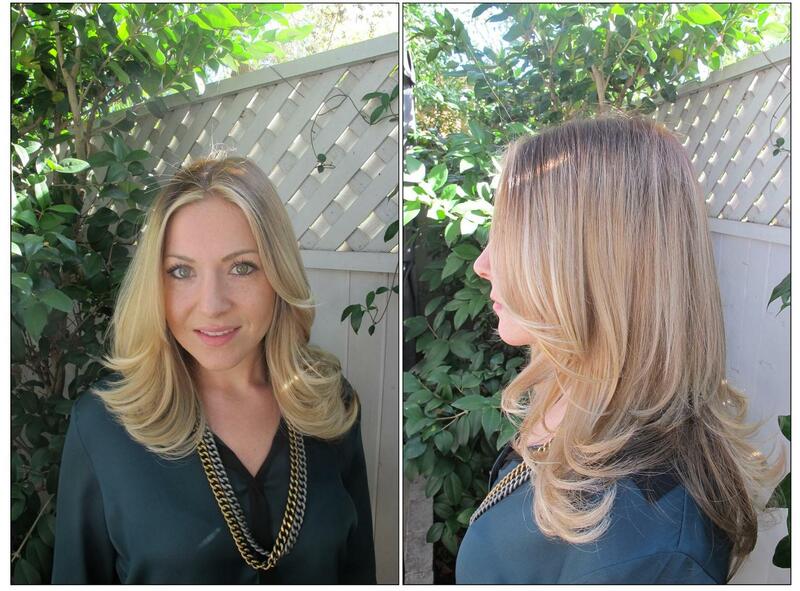 Case in point with these before and after pictures shared with us from Neil George Salon colorist Kacey Welch. 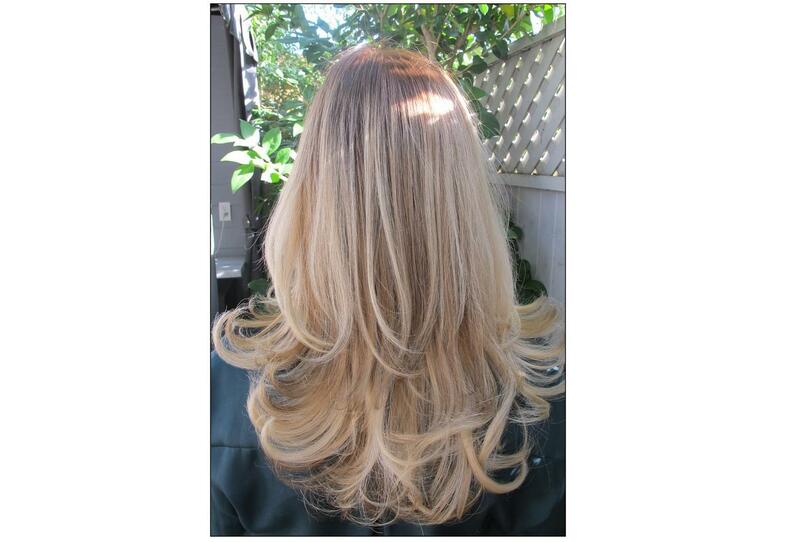 Her client came in needing a hair color fix, as a previous hair stylist had given her a attempt at the ombre color, but left her with unflattering dark roots. Kacey says she has seen this type of situation several times, and it is a reminder that the natural look acheieved from a successful ombre color is not as easy as it looks. This makes sense because we wouldn’t need to get our hair professionally colored if it actually grew out with naturally blended highlights and lowlights. The lesson: leave the tricky hair coloring jobs to the pros, and better yet, the pros who have experience doing these types of colors! 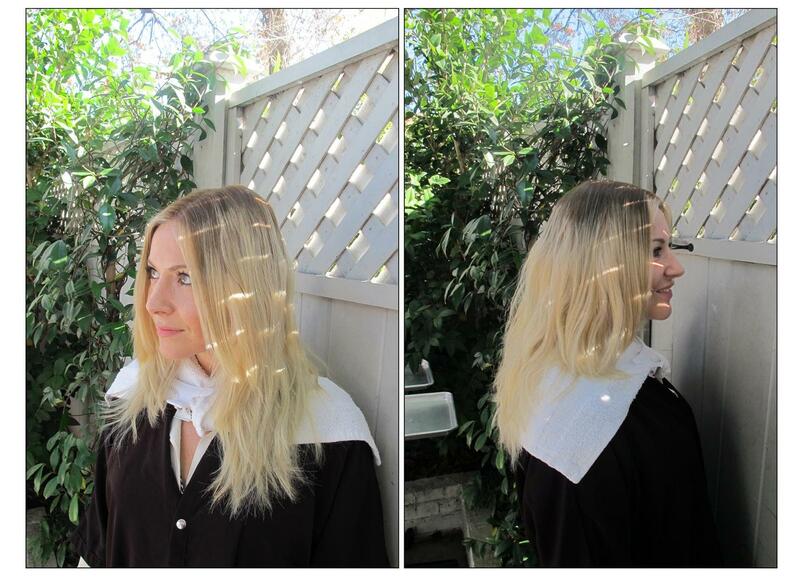 This entry was posted in Makeover, Pro Tips and tagged best celebrity hair colorist, best celebrity hair salon, blonde hair color, blonde ombre, correct ombre hair color, kacey welch, ombre hair color fix. Bookmark the permalink. This happened to me! I know this is an old post, but I hope someone can help. My hair had been getting too dark, so I wanted to brighten it up. I wanted a natural-looking “sunkissed” look. Instead, the stylist dyed by base even darker than before. It’s so unnatural, although I couldn’t stress the word subtle enough during our consultation. Does anyone have a recommendation for a stylist in Boston who can fix this?